No I am not talking about breakfast cereal! 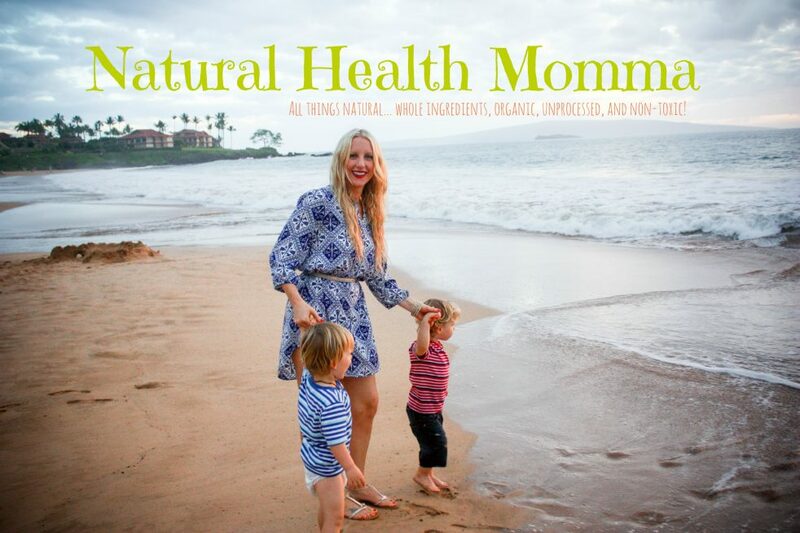 I’m talking about something so much more nutritious and full of complex carbs that will keep you satisfied, your energy levels maintained, you mentally clear, and your body detoxified! Sound too good to be true? It’s not! I’m talkin Green Smoothies! I know what your thinking… “how can anything green be good, or TASTE good?” Green smoothies are surprisingly delicious, my 1-year-old twins LOVE them and drink them DAILY, no joke! Actually, my husband, who I had to convince to drink something green, now LOVES them too! What makes them green? Kale, Chard, collard greens, and spinach, are natures SUPER FOODS! They are one of the most nutrient dense foods you can eat! By adding them to a smoothie you are making it a mega, raw food, enzyme rich, power house, multivitamin in a blender! Can you feel my passion!? Greens are high in calcium, iron, magnesium, potassium, zinc, phosphorus, and Vitamins A, C, E, and K. They packed with fiber, folic acid, chlorophyll and many other phytochemicals and macronutrients making them a major powerhouse in disease prevention, such as osteoporosis, diabetes, cancer, irritable bowl syndrome, and hypertension. I have recently convinced my mom to give them a try to help combat the early stages of osteoporosis. When I first started making green smoothies I didn’t have any special blender, so don’t feel like you need to spend a lot of money to get started! My smoothies where a little “chunky” with little pieces of greens or fruit, but they were well tolerated by all of us and still tasted fantastic. Since we are all now “green smoothie lovers,” we have invested (because it is a BIG investment) in the Vitamix. I use it EVERYDAY, so it was well worth the cost. But again, you don’t need one to start out. If I make my smoothie for breakfast, then I will pair it with a protein source (eggs, plain fage greek yogurt, cottage cheese), since it is mostly complex carbohydrates. This will make it a complete meal. We sometimes make them for a snack as well or a post-workout meal. Your limits are endless! Christ is my daily bread. I get my strength for the day through Him by reading his word. This was my verse of the day that I felt was so suiting for this post. You can take it literally or figuratively. Enjoy! 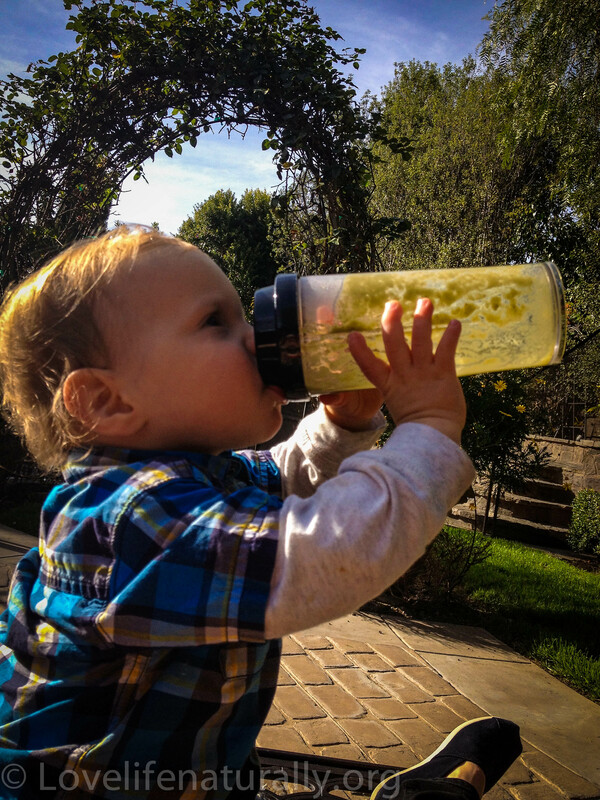 My son Maximus polishing off his favorite drink of the day! Previous Post Homemade Natural Deodorant Recipe that works…Never Buy Deodorant Again! I actually haven’t used spiraling by itself, but I will add a “very green” supplement as a “boost,” that has Spirulina, Chlorella, blue green algae,etc. I will check out the link! THANKS!!! Okay, going to trust you with these and give them a try. We attempted the one with spinach and green apples and yeah , I was gagging. It was awful! We used to add tofu to our shakes. It was pretty delish! Do you (family included) drink milk? Since nursing I’ve cut out dairy and replaced it with Almond Milk and my little guy doesn’t have gas pains or green poops, sorry TMI. Just wondering if we are the only ones in the world not eating dairy, even though we aren’t lactose intolerant. Loving the recipes! I’m “pinning” them! Keep ’em coming!!! Ya spinach and green apples would be a little sour… add a banana to that and it would add the sweetness! 😉 I love apples in my smoothies! You can also just add a handful of greens to get the “taste” of them before adding more to slowly build your palate. Let me know once you try some of these recipes and tell me what you think! As for milk, we do not drink cows milk. My husband and I are both intolerant. I LOVE almond milk! I have a couple recipes on the way that you are going to love! Thanks for pinning and spreading the word!! You are a genius! Seriously – no joke! And get this – our Costco was demo-ing Vitamix – CHA-CHING! That is awesome!!! You are going to be blown away by all the health benefits you will see… and feel! I know it is expensive, but such a good investment 🙂 Cheers… to your health! Love your green smoothies when you make them for me, now I can make them. Thanks for the recipes. love your site keep up the great posting.